We realize that your products are valuable. Therefore we want to apply the best heat treatment. We will not make any concession to quality: we make sure that with our heat treatment we not only harden your product, but improve it. We have a great fleet of furnaces at our disposal. Among them are seven modernly equiped vacuum furnaces. Our latest furnaces has been bought in 2014! Because our furnaces have a wide variety of sizes we are able to supply short delivery times at low costs. We start at the optimal heat treatment for your product. This means that we choose the best temperatures and treat your product in the best suited furnace. 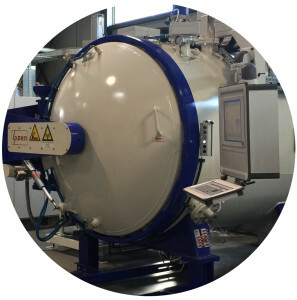 Because we have small vacuum furnaces we are able to perform optimal heat treatment with short delivery times and most of the times with no additional costs.